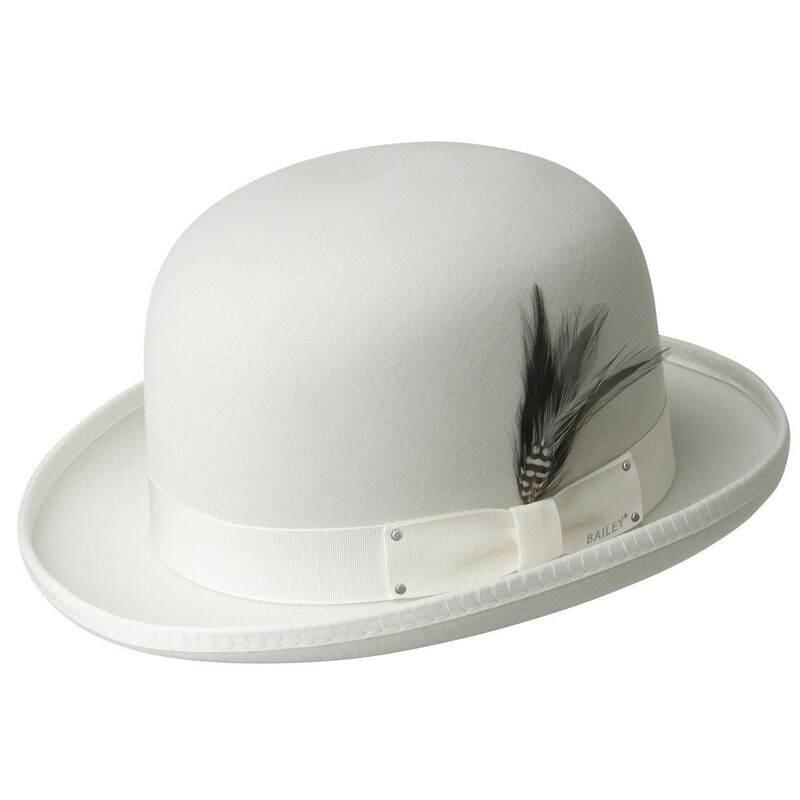 If you're looking for a classy and timeless hat that's steeped in tradition, then the Bailey of Hollywood Derby Wool Bowler is for you. 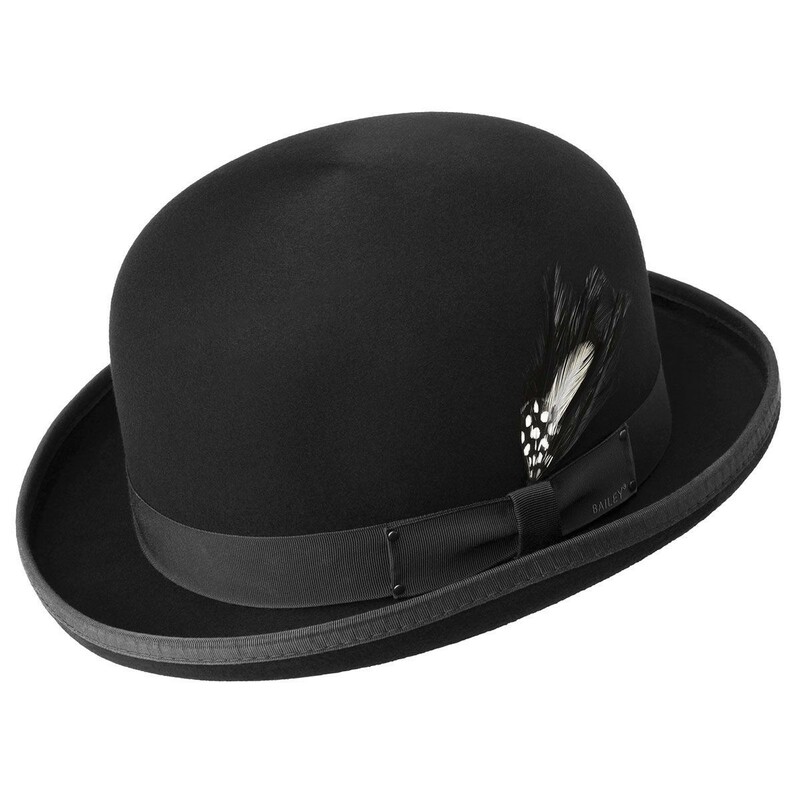 You'll feel like a British gentleman wearing this hat, and it will bring some refined style to the most modern ensemble. This hat features a 2 1/8-inch rolled brim, 100% virgin wool fibers, and a feather accent. As a fully lined, made-in-the-USA hat, you know you're investing in quality style.